India is a country steeped in tradition with a very rich historical and cultural background. This year, Indian tradition will be brought to Schoolcraft for Navaratri on Oct.19 from 7 p.m. to midnight in the VistaTech Center. Tickets can be purchased in advance for $15 in the Student Activities Office or by calling (734) 462-4422, or at the door for $20. Visa, MasterCard, and Discover are accepted. 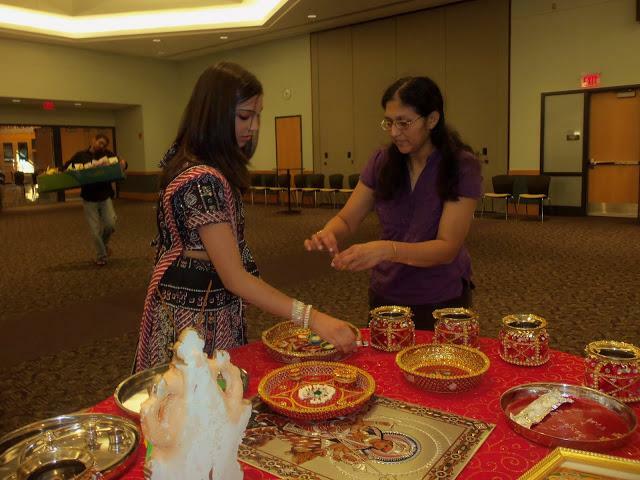 For the past four years, the Asian Student Association has celebrated Navratri, allowing many to experience the wonderful aspects of the Indian religion and to gain more insight on the traditions of the Indian culture. A large portion of traditional culture involves numerous festivals. Navratari is one of the most important and festive Hindu celebrations with great significance and meaning attached to it. Each day of the ten-day event is dedicated to the worship of different aspects of the Goddess Devi, such as the Goddesses Durga or Shakti, which unfolds the religious importance of the occasion. The tenth day is known as Navratri. Celebrations during this festival include participating in fasts, a strictly vegetarian diet, and the recitation of religious hymns, prayer, and meditation related to the Goddess Durga. Symbolizing the worship of the Goddess, another traditional Indian dance, Indian folk dance and Garba, is performed during the nine nights of Navratri. This celebration is magical, as there is a wide variety of Indian food and hours of dancing included. Be a part of this festive occasion and join the Asian Student Association in celebrating Navratri on Oct. 19.